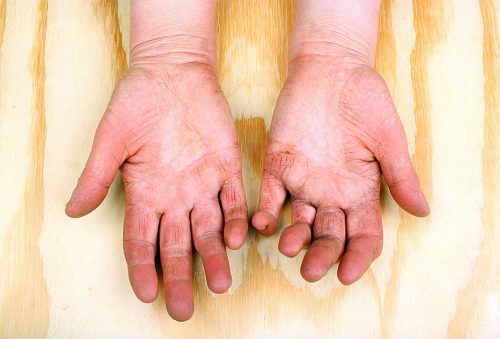 Rheumatoid arthritis (RA) cause and prevention may be linked to gut bacteria, according to a recent study. We previously reported on the association between the onset of rheumatoid arthritis and gut microbiota, and the latest findings offer additional evidence on gut bacteria playing a role in the development of RA. The onset and development of rheumatoid arthritis is not well understood, despite 1.5 million Americans living with the disease. Researcher Dr. Veena Taneja and her team recently published two studies that identify intestinal bacteria as possible causes of RA Testing for the presence of these particular microbiota in the gut may help predict and prevent rheumatoid arthritis. Identifying bacteria that trigger rheumatoid arthritis could lead to the development of targeted prevention and treatment methods for rheumatoid arthritis. In the second study, Dr. Taneja treated a group of arthritis-susceptible mice with a bacterium – prevotella histicola – and compared results with a group that did not receive treatment. The treated mice had a decrease in symptoms and also experienced less side effects, compared to other treatment methods. Human trials are needed to confirm the findings. So far, the mice models are showing promise of a potential rheumatoid arthritis treatment. In the previous study, scientists and researchers at the New York University School of Medicine found a connection between rheumatoid arthritis and a species of gut bacteria – namely, the Prevotella copri bacterium, which lives in the intestines. The presence of P. copri usually indicates the onset of rheumatoid arthritis, and the bacteria grow exponentially once the autoimmune disorder sets in. The reason why the bacteria grow so much is still unknown, as is the exact way how it is connected to rheumatoid arthritis. Although Dr. Littman, one of the researchers, stated, “We cannot conclude that there is a casual link between the abundance of P. copri bacteria and the onset of rheumatoid arthritis,” he and his team are certain that there is a link. The P. copri bacteria found in the stool samples of healthy individuals are genetically distinct from similar bacteria found in stool samples of those with rheumatoid arthritis. Seventy five percent of stool samples from those with rheumatoid arthritis had P. copri present, while only 21.4 percent of stool samples from healthy patients contained these bacteria. The researchers plan to continue their studies, using this new information about gut bacteria and arthritis to further their research in developing treatment for RA and other autoimmune diseases.